Is it a cough, cold or flu? 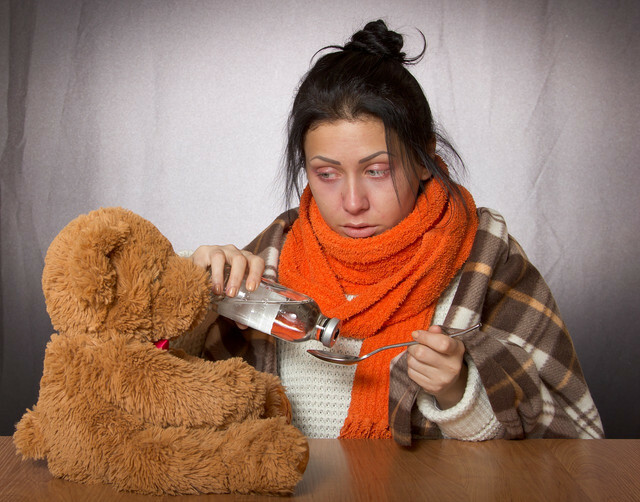 It’s winter time again and as temperatures drop to unfriendly levels, the rounds of coughs, colds and flus are afoot. But despite living in the digital age where we can Google our symptoms, there still seems to be some confusion as to what makes a cough, a cold or a flu. Here are five ways to navigate your healthcare when temperatures drop. The first thing to understand is that whatever it is, there is no way to cure it, so the best thing to do is manage the symptoms. Secondly, a cough is a symptom that can accompany a cold or flu but does not stem from a virus unlike the other two. Coughs are to do with an irritation to the airways. Coughs can also change in nature due to whether or not you have a cold or flu. Thirdly, a cold is a mild infection which can be caused may as many as 5 groups of viruses while a flu is caused by the influenza virus. A cold affects the nose and throat affecting the upper respiratory tract, a flu affects the whole body and presents with a strong fever. Finally, even if all this seems confusing, you still need to know the difference between a cough, cold and a flu because it affects your treatment, how long you will be sick for and when to escalate your care to a doctor. As flus are often treated with anti-biotics, you should probably go see the doctor when you get a high fever, and experience aches and pains all over your body. If you suffer from chronic conditions such as hypertension or diabetes, visit the doctor immediately and highlight any medications you are already taking for your condition. Whether it’s a cough, cold or flu the most common way that these infections are passed on from one person to the next is through contact with an infected person’s secretions. An important everyday health tip for minimising your risk to catching a cold or flu is exercising good hand hygiene. 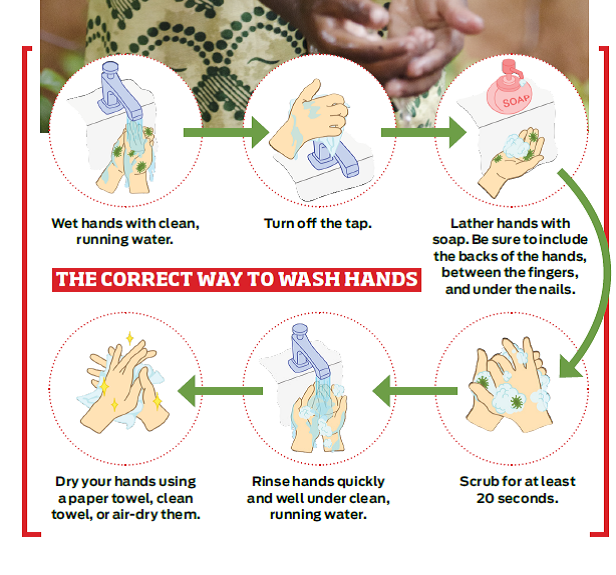 The infographic below, sourced from Pharmacy Magazine: Issue, May 2018 is a healthy reminder to get you germ free in your day to day life. We also think, carrying some sanitizer or sanitized wipes in your pocket, purse or handbag will also keep you safe rather than sorry as we get deeper into winter. Self-medicating with over the counter medications for the alleviation of cough, cold and flu symptoms is increasing as more people have access to information regarding treatments and remedies through the information super highway. The most common self-care treatment sought is cough syrup. 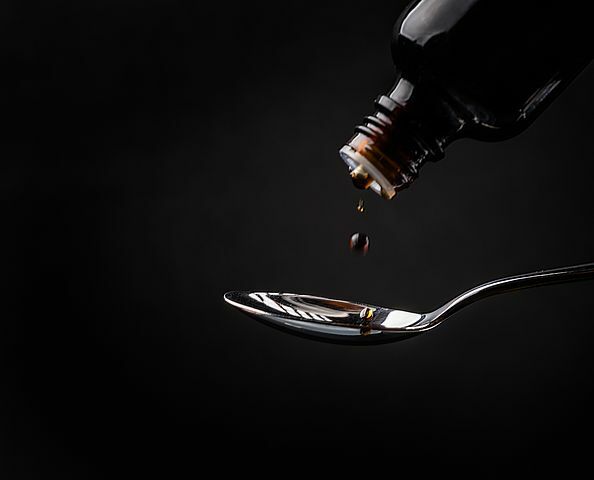 Sadly, misuse of cough syrup due to the mix of ingredients that include the opiod codeine have resulted in unintended social ills such as codeine addiction in young people. Codeine syrup addiction is a worsening social issue across many countries in Africa. Young people are becoming addicted to the drug as it is more accessible through the common cough syrup available over the counter in pharmacies or in the local supermarket. In Nigeria, lawmakers estimate that within two states in the North, more than three million bottles are consumed daily. In 2017, South Africans are estimated to have spent more than a billion rands in cough syrup. As cough syrup is often a go to self-care option for most young children, you may want to consider a cough syrup with Pholcodine as opposed to codeine. Pholcodine is also an opiod which relieves a persistent cough. It is also among the ingredients that classify certain cough syrups as suppressants. These types of syrups are not to be used by people suffering with asthma or other bronchial issues. However, pholcodine, has a lower risk of dependency in comparison to codeine and is being seen as a safer alternative for over the counter cough treatment in regions of the world where it is classified as a class B drug. It is important for you to consult with a health professional before you purchase an over the counter treatment. In regards to cough syrups, pholcodine classifies only one of several treatment options available to you depending on your symptoms. Your pharmacist should be the first port of call when making your choice, and they can answer any questions you may have regarding the best self-care treatment for you. They will also be able to alert you as to when you should escalate your care to a doctor or nurse practitioner at your local clinic, emergency room or medical centre. To aid any healthcare professional in your discussion about the options available to you – especially your pharmacist – be clear on your symptoms, the length of time you have been experiencing them, any pre-existing conditions you may have and any other medications you may have been taking.